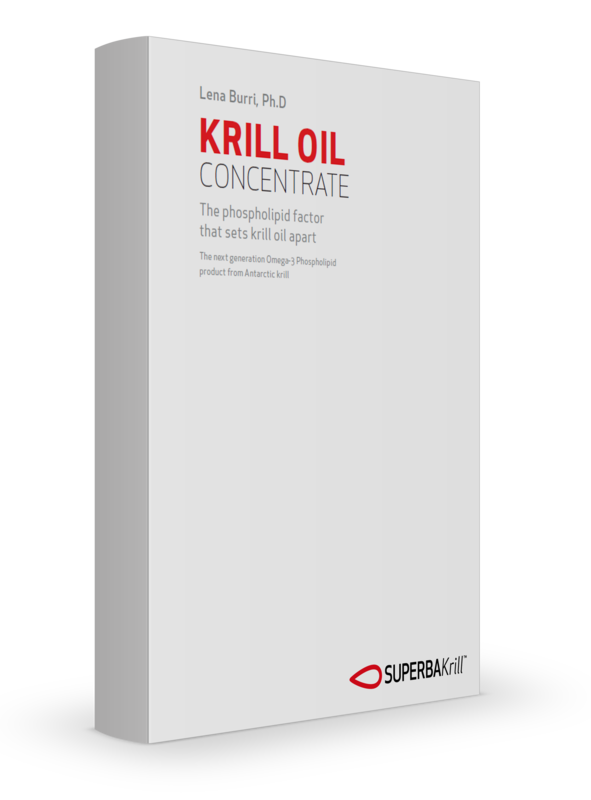 Superba KrillTM oil comes from the Antarctic krill species Euphausia Superba. Krill are small shrimp-like crustaceans packed full of long-chain omega-3 fatty acids eicosapentaenoic acid (EPA) and docosahexaenoic acid (DHA), phospholipids, choline and astaxanthin. These essential fatty acids are one of the most researched nutrients, with a wide range of health benefits for your heart, eyes, liver and brain. Phospholipids help omega-3s integrate into the cell membranes and may be a better delivery form to the body’s organs than other marine oils. Choline is an essential nutrient vital for many body functions such as nerve signaling, liver and muscle functioning. Our body can't make enough, therefore we must obtain it from our diet. One of the fundamental advantages of krill oil is that its omega-3s are mainly bound to phospholipids, whereas fish oil’s are bound to triglycerides. This important distinction has different implications for the absorption, function and health effects of the omega-3s that you consume. Consequently, it allows for a wider range of messaging opportunities to target different areas of health. Powered by these phospholipids, Superba Krill ensures that omega-3s EPA & DHA are delivered to parts of the body that need them the most, such as the brain, heart, eyes and liver. Phospholipids make krill oil’s omega-3s more bio-efficient and stable. This allows for smaller capsules when used in supplements. When compared with triglyceride bound omega-3s, studies show that less phospholipid bound omega-3s are required to reach equal bioavailability in the body’s cells and organs. Check out this video to see the phospholipid factor in action! Krill are present in most oceans around the world, however, they come together in huge swarms in Antarctica to feed on microscopic algae. This makes it possible to harvest this powerful and nutrient rich little crustacean. Living in the pristine and unpolluted waters of the Southern Ocean means Antarctic krill are virtually free of environmental contaminants and toxins. 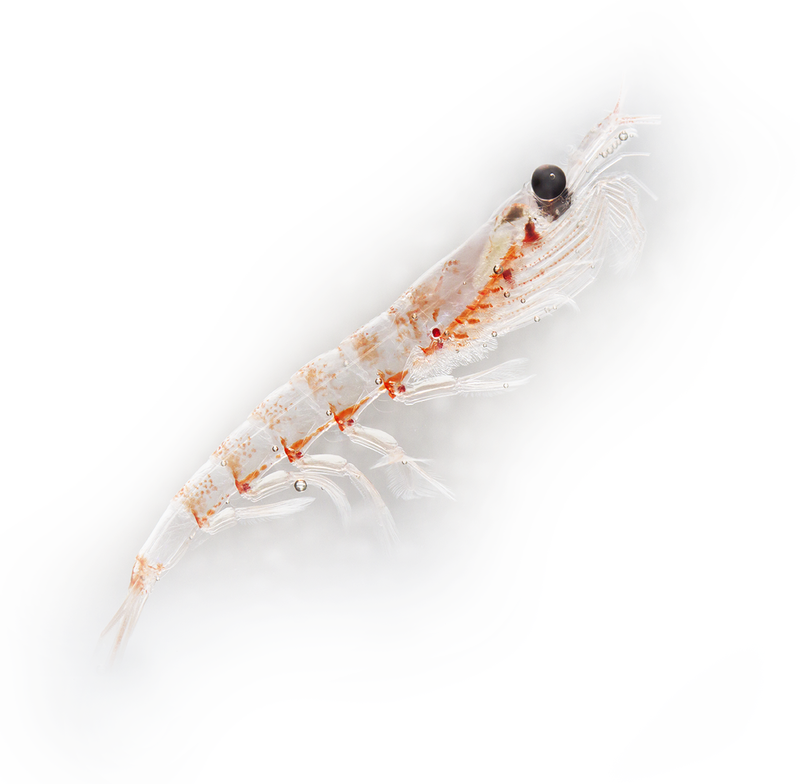 The sustainability of the krill fishery and the Antarctic eco-system is our top priority to ensure minimal impact on the marine species who live there. Read more about our sustainable harvesting practices.